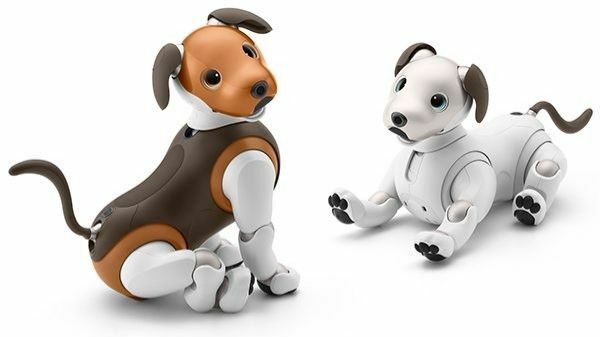 Sony has unleashed a new version of its robot puppy Aibo to celebrate the anniversary of the 6th-generation model. For the first time, the mechanical mutt is available in a brown color scheme rather than the original white. In a press release announcing the new design, the color (which Aibo’s development team call ‘chocolate’) originated from a sketch early in the pup’s development. The recolored Aibo is exactly the same on the inside, with the same ability to learn tricks over time, recognize faces and charm you with its puppy-like behavior. The chocolate Aibo is available exclusively in Sony’s Japanese store now for a hefty ¥198,000 (about $1,800, £1,400, AU$2,500) plus tax, and will begin shipping on February 1. Still not convinced? Customers who order their new chocolate canine companion before February 14 will receive a model with a black tail, rather than the standard brown. All the better for wagging in glee at its new owner.